Have you signed up yet for the best f*cking lighting industries email newsletter that ever was? It’s FREE!!! Click here to sign up for THE INDUSTRY PULSE from JimOnLight.com! When talking with students, or people who just love light but don’t know much about it, there are a few terms that are used sometimes incorrectly – “That table has a high illuminance value,” or “you can measure the luminance coming from that light source.” Not quite right. Do you know how to use these integral lighting terms? 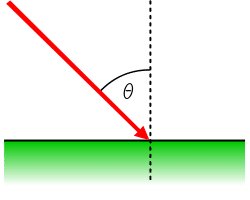 Figuring out the difference between luminance and IL-luminance is as simple as remembering what has happened to the beam of light; the incident of light hitting a surface – a beam of light that is travelling towards a surface – is what is measured when talking about illuminance. 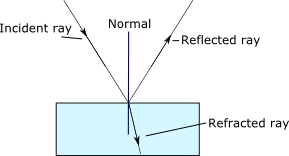 Illuminance is measured as the amount of light striking a surface. The incident light. If we had a light meter and wanted to measure the amount of light that was striking the surface we were measuring, we would hold the little white bubble towards the device shooting the light. These meters are also called “incident meters” for a reason. On the other side of this, luminance, is what we measure off of the surface that has light hitting it. Luminance is the measurement of the product of the incident light and the surface – anything that is reflected. Luminance is also considered the human perception of brightness, or how bright we perceive the light that is reflected off of the surface. I’ve always found this easier: Illuminence is a measure of the thing that’s illuminating the surface. Lumenence is the other thing. Here’s the loopy metaphorical note I made to myself as I read your excellent explanation — is this essentially anywhere near correct? The “incident” is the arrival of light, as in: “Hello! I’m a light beam! Here I am! Bam!” “Illuminance” is the customs agent asking to see the beam’s passport, stamping it, and asking how much currency it’s bringing in. “Luminance” is how much of that currency (light) the beam then gives to its family that’s waiting at the other side of the room ? God you’re stupid. Go to college or something. Â She’s actually quite intelligent. Making a metaphor to remember concepts ensures that you remember the information for a longer period of time. Here’s something that you should remember: the only reason someone would insult a stranger is because of their own insecurity. So what is wrong with saying “you can measure the luminance coming from that light source.” – reading the article it seems like the correct use of the term – we’re asking how much light is leaving the light source? Reading on wikipedia and the article carefully again, I think I can see what was the meaning. But I believe that the mnemonic and analogy is confusing. Just reading this article, one doesn’t get the impression that illuminance and luminance have different units for example? higher intensity, as the reflected value assumes a 18% grey subject. Yes!!!! Thank you for breaking it down !! I know this post is old, but just wanted to comment to say THANK YOU. I’m studying for my architect’s registration exam and had a REALLY tough time keeping these straight. you explained very clearly. Thanks again! According to RP-8-00 my design should be 4.0 Lux or 0.4 Cd/sq.m Result shows almost double of desired Illuminance value but Look at the Luminance value which is 15 % less than desired value ? Why this happened? It would be appreciated if anyone can answer this issue?